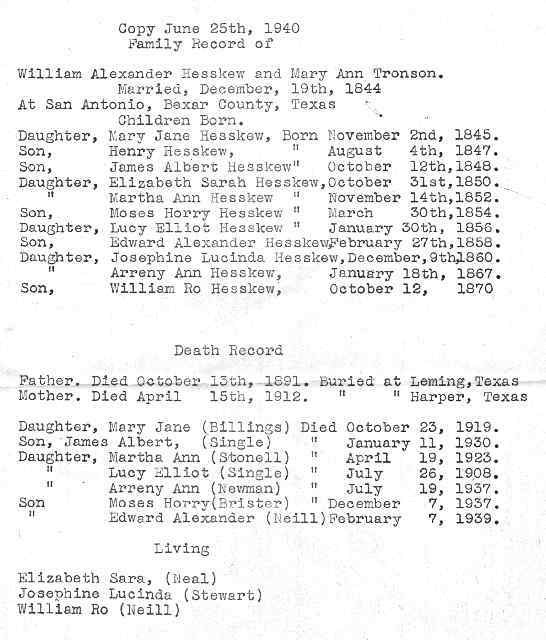 Martha Ann Hesskew was born in Gonzales County, Texas to William and Mary Ann Hesskew November 14, 1852. She was still in her parents home at the time of the census in 1860. She would have been 17 or 18 years old at that time. The Hesskew family was one of the very early families in this area, and based on the 1860 census the family lived near the Salt Stream Post Office. The road from Pilgrim to Smiley use to go by Hesskew Springs, before the present Hwy. 87 was built. There is still a windmill at the site of the old Hesskew home & school. Martha married William Stonell on 9th day of July 1877. William was from England. They had several children in the Atascosa County area where William was a rock mason by trade. i. WILLIAM3 STONELL, b. June 20, 1878.
ii. CHARLES STONELL, b. February 10, 1881.
iii. JOHN STONELL, b. September 24, 1882.
iv. ELANOR STONELL, b. November 30, 1884.
v. HENRY HUGH STONELL, b. February 18, 1888, Bexar County, San Antonio, Texas. vi. ALBERT STONELL, b. January 15, 1890.
vii. EDWARD STONELL, b. December 21, 1890. They later moved to Galveston where the family experienced the great Hurricane of 1900. Lethal weapon: Waves and winds crushed most of the city. Death toll: About one of every six Galveston residents killed. Galveston Island is 28 miles long, several miles wide and at no point more than 9 feet above high tide. On Sept. 8, 1900, virtually the entire island was underwater. The killer storm had moved west from Cuba, past the tip of Florida and strengthened as it churned through the Gulf of Mexico. The hurricane hit Galveston in the late afternoon Saturday and didn't subside until after midnight. Winds of up 130 miles per hour and a storm wave said to be "nearly five feet high" demolished two-thirds of the homes in the city and half the businesses. Pieces of the wrecked home, tossed by waves and hurled by winds, became lethal weapons. "The roofs of houses and timbers were flying through the streets as though they were paper," wrote Dr. I.M. Cline, who was in charge of the Weather Bureau office in Galveston. "Many persons were killed on top of the drifting debris by flying timbers after they had escaped from their wrecked home," he wrote. By Sunday morning, the city was littered with corpses. Fearing an outbreak of plague, martial law was declared and the bodies were taken out to sea for a mass burial. Following the destruction William sent Martha and the children to Alabama. They traveled by wagon train to Alabama, leaving William and the eldest son to help clean up the damage. William died while in Texas, and one of their younger sons was accidentally shot and killed on the wagon train. Martha Ann and family settled in Eufaula Al, where she is buried. Yours to hand content noted will give you all the information I can in regard to your family tree. I knew your father and mother some 48 years ago. Your father was a fine rock mason. I knew him several years before he married your mother. The Heskew family moved into this country I think in the 70s as to your mothers first husband I, could not tell you as the first time I saw her, She was with a man by name of Young. He brought her into this neighborhood and left her at a Mans house by name of Jake West And she lived with that family until she married Jimmie Stonell and they lived here a long time. Had several children when they left here for Galveston and your father died there and your mother and the children so I heard moved on to Tenn. And worked in some kind of factory. Your grandfather and Grandmother both died in this Atascosa County. They had 3 boys Ed, Jim and Roe. Jim was blind and is dead, also they had another son I forgot to mention, he was the oldest son, his name was Harry. I think he also is dead and he raised a large family. They were in Wilson County the last I heard of them. They had I think 4 sisters, all dead but one. She married a man by the name of Stewart. 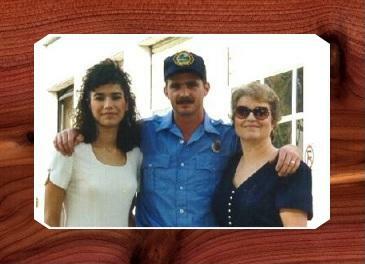 They also had several children, Stewart is dead and your aunt his wife is still living and lives in Uvalde County, Tx. Ed and Roe Hesskew live in San Antonio Tx. Ed lives on Gate St. I dont know the number, Roe lives on Orange St. number 110. I think Ed has 3 boys and three girls, all grown Roe or W.R. has 3 boys and 2 girls. One single girl but grown and the rest are married and all live in San Antonio. You can write to Ed or Roe and they can tell you more than I can. E.A. or W.R. Heskew will get your letter directed as I have told you they both own their homes and are well know by the mail carriers. So my advice to you is to write either one or both and they can tell you all about the family tree. They both are my brothers -in-law. They both married my wifes sisters. I am now 78 years old I was born in this county in 1856 lived here all my life. Your father built me two chimneys and two ground cisterns at this place. (Where I am now living) in 1887. I raised a family of 15 children, 9 boys and 6 girls all living but one. He died four years ago, was 45 years old , the rest all grown and all live in this county and San Antonio. I lost my wife in 1931, she was 70 years old. Well boy this is the best I can do for you, hope this will he the means of you getting in connection with your family. The following outlines who Martha's brothers and sister were. 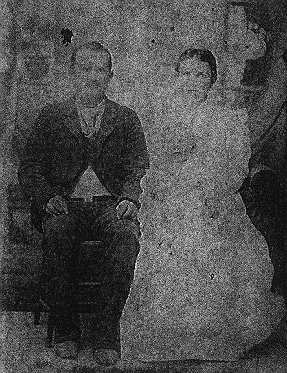 William Alexander Hesskew and Mary Ann ( Anne Marie) Tronson were married on 12/19/1844 in San Antonio and had 14 children. 11 lived. Fact: their marriage license. 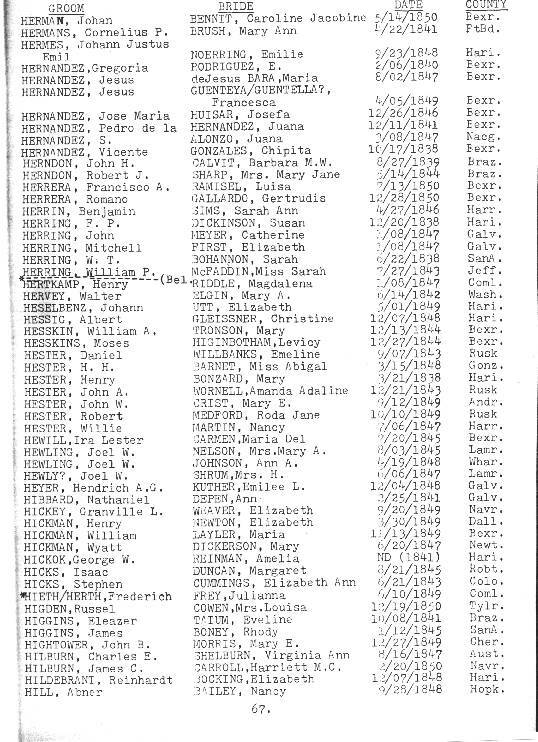 was issued in Bexar County to a William A. Hesskin and Mary Tronson 12/13/1844. i. MARY2 HESSKEW, b. November 02, 1845, Gonzales County, Texas; d. October 23, 1919; m. WILLIAM C. BILLINGS. ii. HENRY HESSKEW, b. August 04, 1847; d. abt. 1853. Notes for HENRY HESSKEW: Henry is not with his Parents or family at the time of the 1870 Census, he is either deceased or living else where. Other family members indicate Henry died at age 6.
iv. ELIZABETH SARAH HESSKEW, b. October 31, 1850; m. JOHN NEAL. iv. MARTHA ANN HESSKEW, b. Abt. 1853; d. Eufaula, Alabama; m. WILLIAM STONELL. Notes for WILLIAM STONELL: Martha Ann Hesskew married William Stonell , they went through the flood of Galveston after which she and the children traveled by wagon train to Alabama, leaving William and the eldest son to help clean up the damage. William died while in Texas, and one of their younger sons was accidentally shot and killed on the wagon train. Martha Ann and family settled in Eufaula Al, where she is buried. vi. IDA HESSKEW, b. Abt. 1854. ( unsure about this child) She is listed in the home in the 1870 Census , but not the 1860. She is is also born about the same year as Moses below? ix. EDWARD ALEXANDER HESKEW, b. February 27, 1858; d. February 20, 1939, Bexar County Texas. 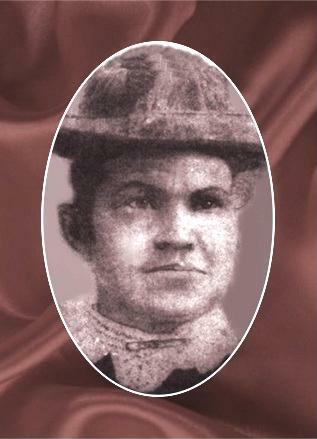 xi.. ARRENY ANN HESSKEW, b. January 18, 1867, old San Patricio, San Patricio Co, Texas; d. Abt. 1937. Picture Arreny Ann2 Hesskew (William Alexander1) was born January 18, 1867 in old San Patricio, San Patricio Co, Texas, and died Abt. 1937. 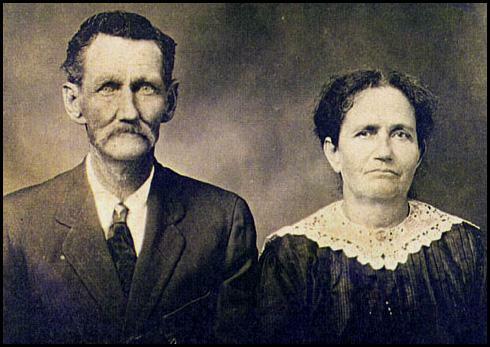 She married Seab Newman November 09, 1882 in Atascosa Co., Campbellton Tx, son of Lawrence Newman and Sarah Nolan. xii. WILLIAM ROE HESSKEW, b. October 12, 1870, Campbellton, Texas; d. August 20, 1955, Brite Cemetery in Atascosa County, Texas.